Süle is a Hungarian law firm with a business perspective. Over the years we have maintained our core specializations in intellectual property (IP), data privacy and information technology and we offer premium legal services in all areas of trademark, media, internet and data protections laws. Süle is active in the jurisdictions of Hungary, Germany, UK and of the European Union (EU). Süle is the the No. 1 on the TOP 25 E-users per Country List of the EUIPO (European Union Intellectual Property Office) for three consecutive years (2016, 2017, 2018 and counting) for Hungary. The logo depicts a live fish and is actually dedicated to the love of fish which means to us freedom, cleanness and simplicity. Our logo is not related to any religion and it is copyright protected. The idea of the logo comes from Ákos Süle who loves fish and fish-related works of art. A long time ago Ákos’s grandfather used to go fishing to the Lake Balaton regularly, so this may be in the family. As a consequence the fish found its way to our law firm as well. It is a talking point with clients; some love it, some are more quizzical. However most of all it has brought a little bit of fun into our weekdays and let’s not forget that some fishes swim against the current. Of course sometimes it is better to go with the flow. We always consider both options professionally. Our team is carefully selected and consists of recognized professionals who – prior to joining Süle – have already gained valuable experience at leading domestic and international law firms. Having advised Fortune 500 companies, our team has developed and maintains a client focused business approach when we provide legal advice to businesses and undertake general and complex legal transactions and disputes in Hungary and in the European Community. We are dedicated to building a deep understanding of our clients, their businesses and their industries. We fight for a favorable result by providing expert legal services that allows our clients to get back to their lives and their businesses as quickly as possible. When we advise, we consider ourselves to be partners with our clients. We take to heart their need to do business effectively and to best use the laws that apply to their companies to protect and advance their competitive positions. Through a selected network of law firms in Europe we advise our clients in their European, cross-border projects. We offer a client friendly one stop shop approach in our international legal services. 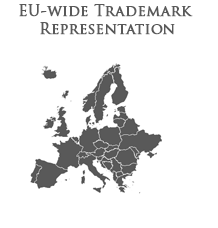 We are able to cover all our practices in the European Union. If you represent a trustable law firm, you are also encouraged to contact us to find eventual ways of cooperation. We are members of the International Association for the Protection of Intellectual Property (AIPPI), the International Association of Privacy Professionals (IAPP), the Hungarian Association for the Protection of Industrial Property and Copyright (MIE), the Hungarian Copyright Forum (MSZJF, the national group of ALAI), the Hungarian Trademark Association (MVE). Who is dr. Ákos Süle, LL.M. (Berlin)? He founded this law firm to practice specialized areas of law in his own way: Ákos is an attorney who will stand with you to help your business grow. Under his leadership, the Süle Law Firm handles an array of legal matters in Hungary, in the European Union and internationally. Ákos ( https://www.linkedin.com/in/akossule/ )is said to be a highly qualified and versatile lawyer who has gained almost a decade of experience as an IP/IT lawyer. He advises notable local and international companies and creative private individuals also in data privacy and internet (media) law issues. He has been involved with high profile litigation cases over the years and his thorough approach earned his clients’ trust. Ákos speaks English and German.